Simon Kinny-Lewis synthesises a myriad of influences from acoustic roots to fusion and modern blues into his own sonic stew. 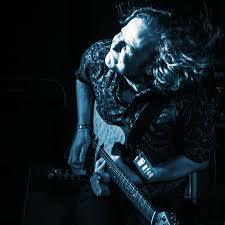 Both as an acoustic solo artist or leading his electric band, Simon has become increasingly visable in the Australian blues community and beyond. We talk influences, working with your heroes, Strats, Supros and much more in this episode.